Centralia (WA) March 16, 2006 – Renovation of the Centralia Outlet Center is underway. The initial demolition of a large portion of the enclosed mall took place within two weeks and crews have already begun the rebuilding. The renovation will convert an interior space into exterior buildings with greatly improved visibility from the adjacent interstate freeway and parking lot. The creation of exterior storefronts, outdoor plaza, new restrooms, and dramatic covered walkway will be exciting additions to the center. According to Craig Vernon, project manager for Jody Miller Construction, the first phase of the project is on schedule for a June 1 completion. The center, originally started by John Regan in 1988, opened with London Fog as the original tenant. The mall was the first outlet center in the Northwest, and one of the first west of the Mississippi River. 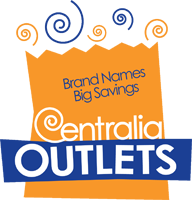 Centralia Outlets was purchased in 1998 by R.K. Getty Corp. At a live demolition demonstration ceremony March 8, John Regan met with Sandra Smith, Director of Real Estate for the R.K. Getty Corp., architects, and construction managers. Regan commented that the timing is right for the renovation and there is a real opportunity here. After the first phase is completed, work will continue as all storefronts are renovated with new facades, additional stone columns, board-and-batt accents, new lighting and landscaping and widened sidewalks.